Don't hit the panic button over China's financial turmoil just yet -- the government still has a few tricks up its sleeve. 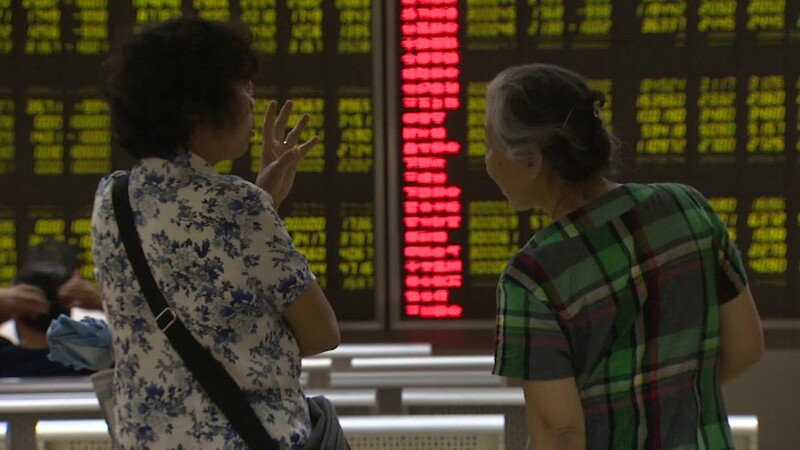 Over the last few months, Beijing has pulled out the stops to battle a stock market rout and signs of a sharp slowdown in its economy, including allowing a shock depreciation of the currency. The measures bought some short term relief, but the haphazard response hasn't been enough to shore up confidence in China's economy or markets. With China now growing at its weakest pace since the global financial crisis, it's no wonder international investors are getting increasingly nervous. Still, the world's second-largest economy has plenty of firepower. 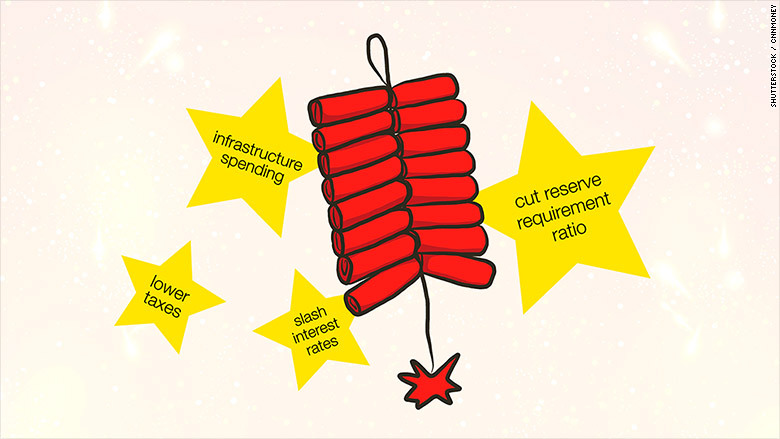 Here are four tools that analysts say China could deploy to stimulate activity. The People's Bank of China could lower interest rates, making it cheaper to take out loans. It can also cut the amount that banks are required to keep on reserve, said Khiem Do of Baring Asset Management. That allows them to lend more to businesses and households. Both these options "will increase liquidity in the economy and also ... to the stock market as well," he said. Despite rapid urbanization, China still needs more infrastructure -- roads, highways, subways, water supply, healthcare and more. "Such infrastructure investment can improve overall returns to an economy's physical and human capital, and typically happens during -- not after -- a country's period of rapid development and industrialization," said Wang Tao of UBS. "In the near term, infrastructure investment can directly contribute to GDP growth." Such spending won't guarantee growth in the long run but could buy China time until corporate investment and consumer spending recover. Despite ballooning government debt, "for the time being [China] still has room to increase fiscal spending," UBS analysts wrote. That's because China still runs a relatively low budget deficit, compared to other major economies. Beijing could consider cutting taxes, for example, which could help boost consumption, said Deloitte's chief China economist Xu Sitao. Looking ahead, experts expect China to revisit budget and tax policy at a major political meeting in October. The Chinese Communist Party Central Committee will meet this fall to approve its five-year plan for 2016 to 2020. If the central government can come up with effective policy recommendations from the meeting -- or even give the appearance of doing so -- there's a chance that it will restore confidence in growth, wrote BNP Paribas economist Xingdong Chen in a research note. One of the more important policy moves would be to reform state-owned enterprises to combat inefficiency and wasteful spending, Chen said.